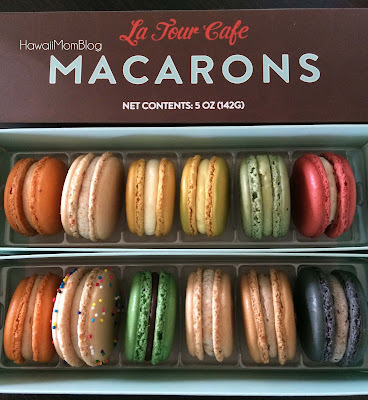 La Tour Cafe recently opened in Kapolei right next to the new Regal theater. 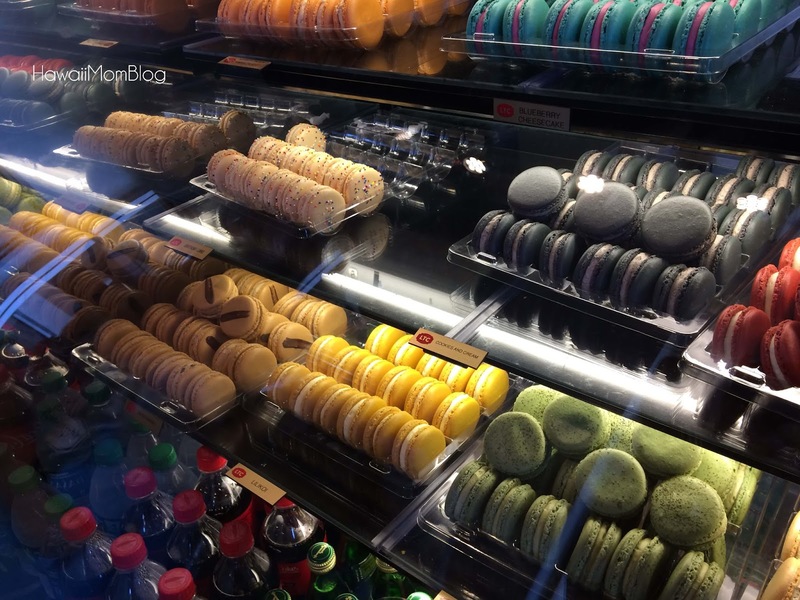 I really enjoy the food at La Tour Cafe, and although I'm not a huge macaron eater, it's really hard to resist those colorful creations staring at you in the display case. 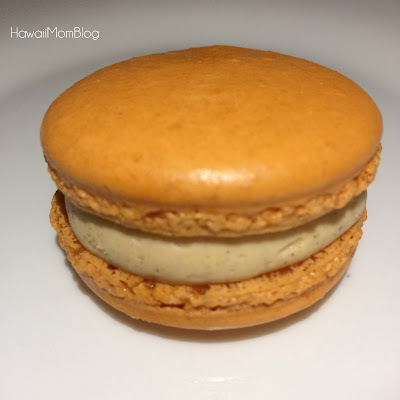 I went to the Kapolei location to pick up some treats for the neighbors, but when I saw that the flavor of the month macaron was Pumpkin Crunch, I just had to give it a try. 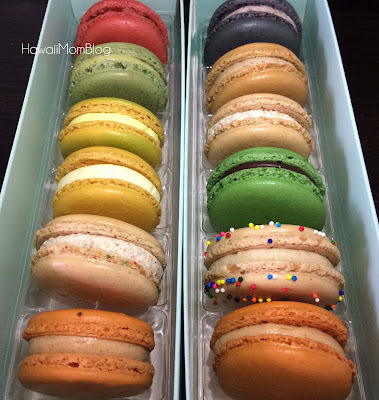 If you love all things pumpkin, you'll love this macaron! 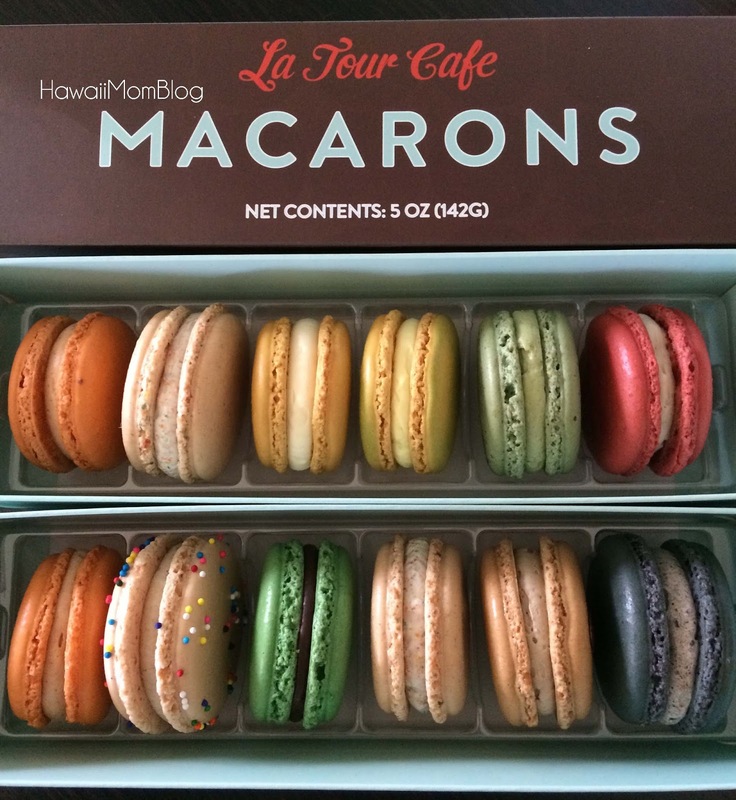 Left, top to bottom: Red Velvet, Green Tea, Pineapple, Lilikoi, Fruity Pebbles, Pumpkin Crunch. Right, top to bottom: Cookies and Cream, Salted Caramel, Fruity Pebbles, Peppermint Mocha, Birthday Cake, Pumpkin Crunch. The La Tour Cafe in Kapolei has seating indoors and out, and it's a great place to grab a bite or a sweet treat after you're done watching a movie!